The Union government has taken yet another step to promote innovation through science and technology by establishing innovation hubs across the country. 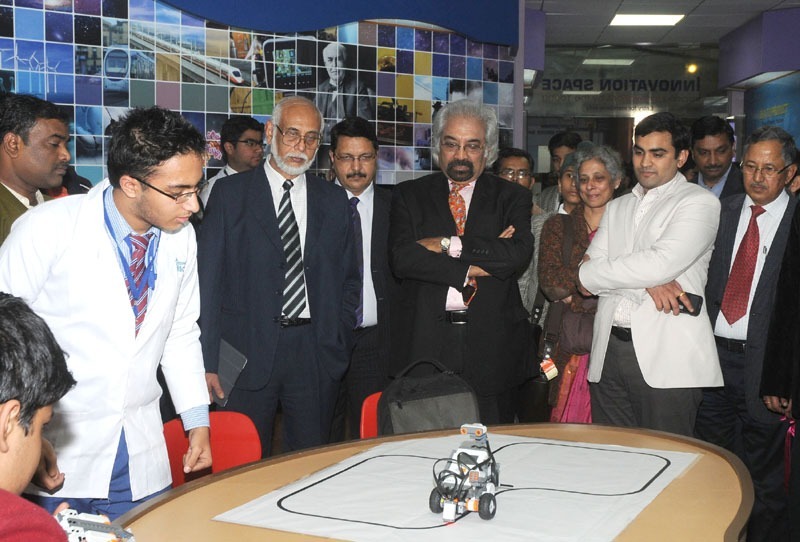 Shri Sam Pitroda, Chairman, National Innovation Council & Adviser to the Prime Minister on Public Information Infrastructure and Innovations inaugurated an 'Innovation Hub' at the National Science Centre, New Delhi today. It provides a unique opportunity for children of various age groups to work at the facility during the week-ends to develop their ideas on various aspects of Science & Technology. Membership is available for interested students for long-term hands-on and minds-on engagement in creative activities in science & technology. Over 40 students have already sought membership of the new facility and it will be functional from this weekend. The Innovation hub has been equipped with components namely, Hall of Fame with stories of Inventions and Inventors; Innovation Resource Centre with online access to innovation-centric resources; Innovative Laboratory to carry out activities, experiments and projects; Tech Lab for Robotics & Microprocessor Programming; Tod-Phod-Jod (Break & Remake) for students to open gadgets and reassemble them on their own; Kabad Se Jugad (Build from Scrap) for students to develop things from scrap and low-cost materials and an Idea Box for children to propose ideas and create an idea bank. The best ideas will be chosen for experimentation, model making and project work. In addition, children are encouraged to identify real life problem/investigatory projects and work on for solutions under the guidance of experts/mentors. While delivering the keynote address, Shri Sam Pitroda announced that the National Innovation Council along with the Ministry of Culture and the Planning Commission is working on the scheme to launch 100 such innovation hubs across the country. Similar hubs have been launched at the Bangalore and Kolkata Science centres under the Council of Science Museums, an autonomous body under Ministry of Culture. The basic idea is to encourage children to imagine and explore. He suggested that all Science centres must engage with the local community and create local ecosystems to own, support and nurture these innovation hubs. He also suggested that every science centre must have members of the local community including businessmen, scientists, professionals, academicians, and members of the civil society in its governing board.